Are you ready for Fall? I’m ready to start smelling cinnamon and pumpkin pie. It’s also time for those Fall decorations to come up and make your home feel cozy! 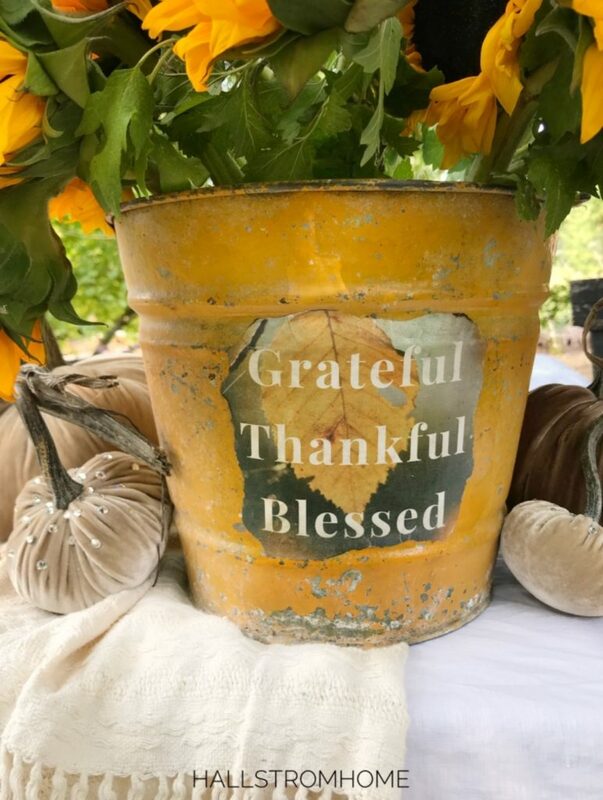 To add to that warm and cozy decor I would love to share our Free Grateful, Thankful, Blessed Printable for Fall! The time has come for getting crafty. 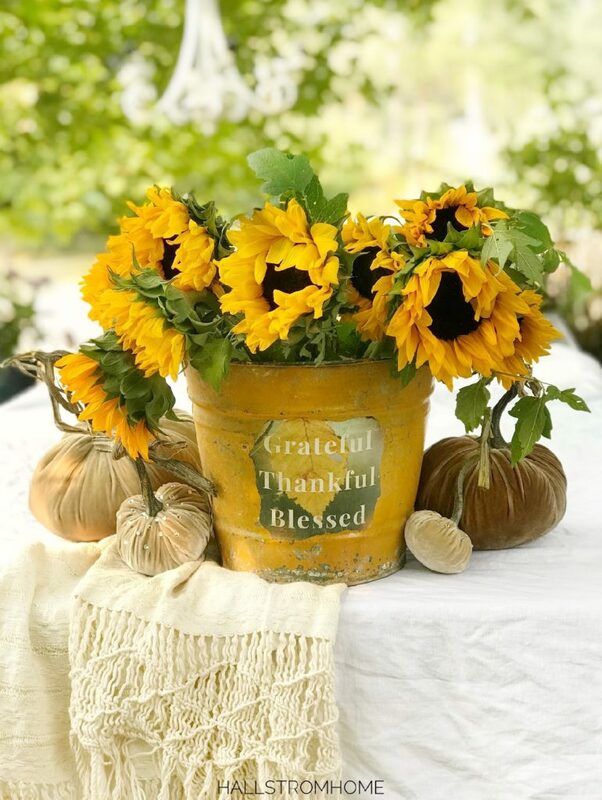 There are so many possibilities for the Free Grateful, Thankful, Blessed Printable for Fall. You could frame it, make cards out of it, or modge podge it to a bucket! Go to the bottom of this post to print it out! To create this bucket with our printable we cut around the edge of the words. Closer to the lettering we tore it and then lightly burnt the edges. Make sure you don’t burn up the whole paper, because you’ll have to keep printing more. Oh and don’t burn your fingers, that might even be worse then burning your paper! 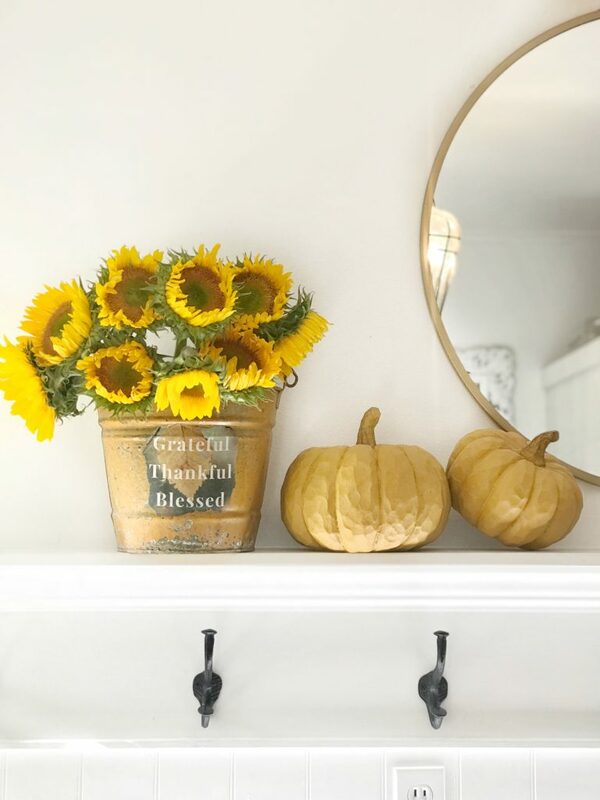 Stay tuned to see how we transformed our mudroom into a Halloween dream. I then put the printable in place and modge podged it on. 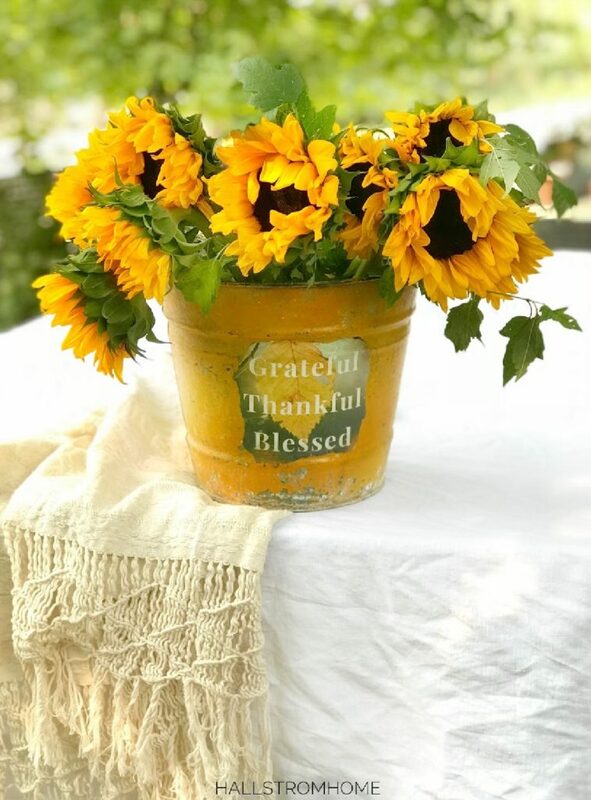 Adding some fresh sunflowers really made the bucket pop and now I am really wanting Fall to be here! The yellow bucket can be found on our online boutique. The pumpkins can also be found in our shop. 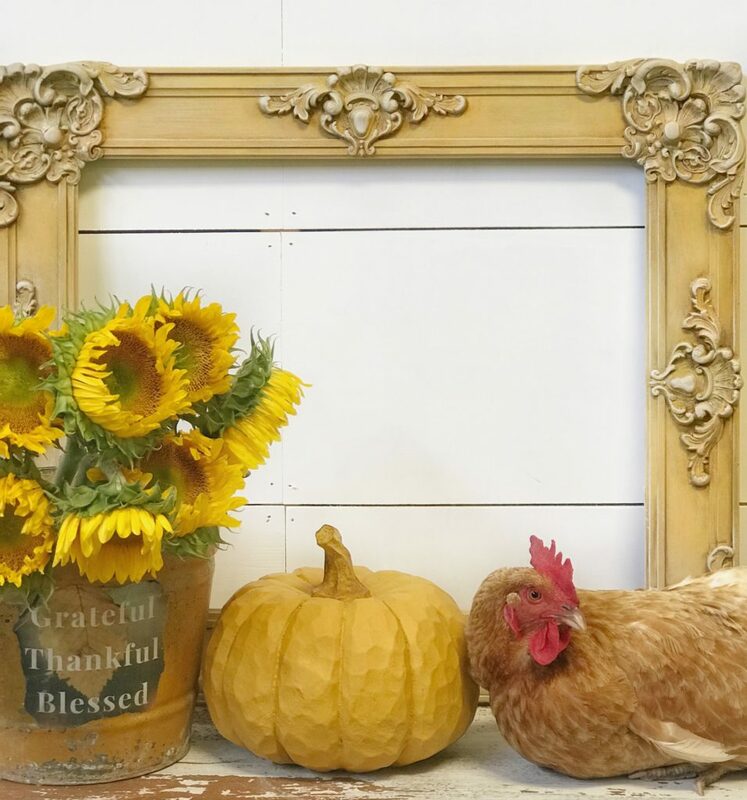 Here’s a tutorial on how to chalk paint pumpkins. Our one chicken Ms. Nelly got out so she had to get in the picture. She is always getting out, so that’s what she gets!! I would love to know how you are using the printable, be sure to tag me in your photos and follow me on Instagram @Hallstromhome. You can sign up for our blog update emails here. Check out my Pinterest for more printable inspiration! Here is the printable below, I hope you enjoy!